Rachel delivers her debut single “Damage” to the Country radio airwaves. “When I was 12 and just beginning to write songs, I couldn’t imagine that one day my songs, or voice, would be on the radio. Today is such a humbling day,” says Wammack. 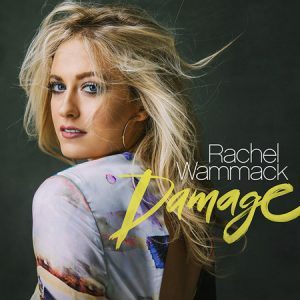 The new song, written by Wammack along with Tom Douglas and David Hodges, appears on the Muscle Shoals’ native self-titled EP, Rachel Wammack, which was produced by Dann Huff and released this past April.